Traditional Litho or digital print . . .
Our printing and finishing departments offer a dedicated team of personnel, state of the art equipment and years of experience. If you want to gain new business your literature is paramount. Whether your requirements are for office stationery or target marketing, we can respond quickly, small quantities to hundreds of thousands, you will be amazed what we can do for you. 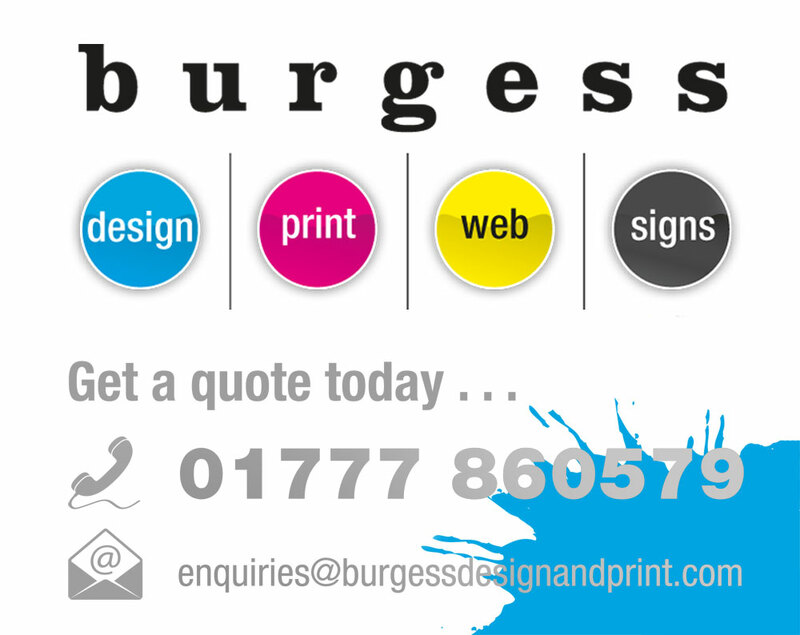 Burgess Design and Print can offer all this and more! 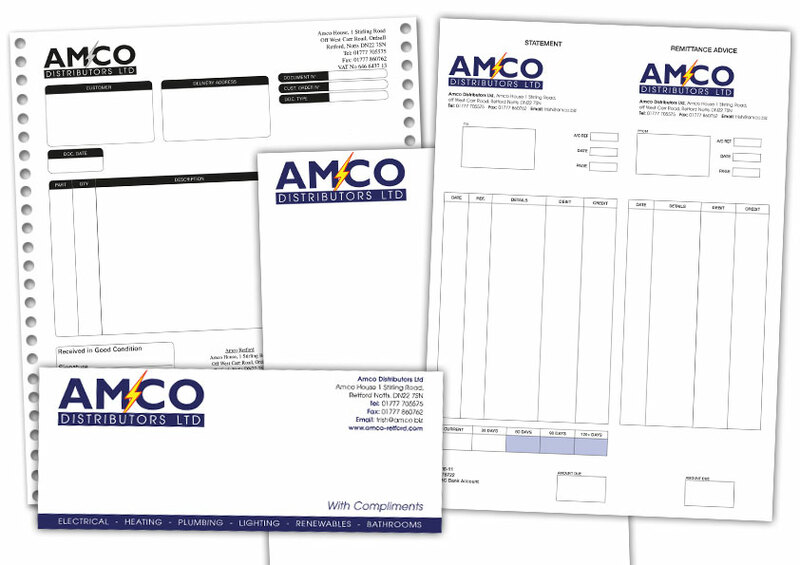 Whatever your business - we have it covered from letterheads, compliment slips, business cards, NCR/carbonless sets, continuous stationery, statements, invoices, purchase orders, delivery notes, labels... the list is endless. We can also design you a new logo or update your existing one if required. 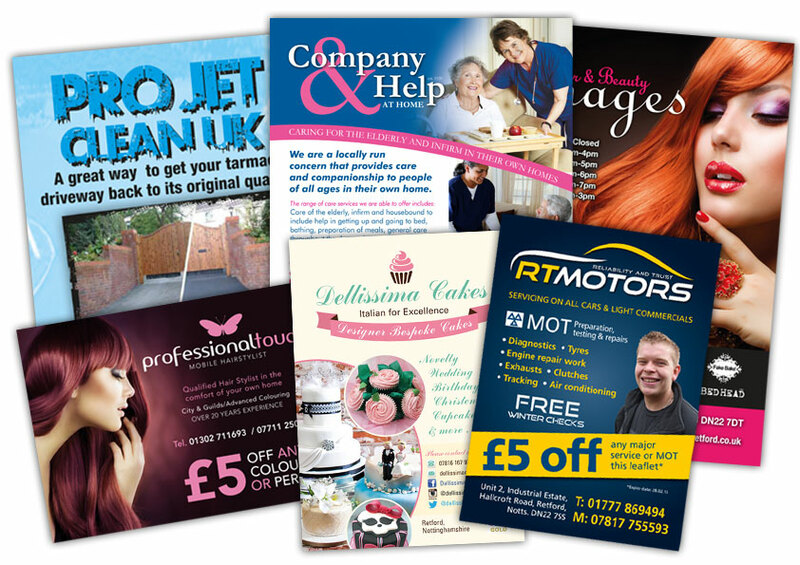 These can be any shape and size from a single sided A6 Postcard to a DL Flyer or an A5 Leaflet. We can also create your artwork, making your design stand out from the rest. 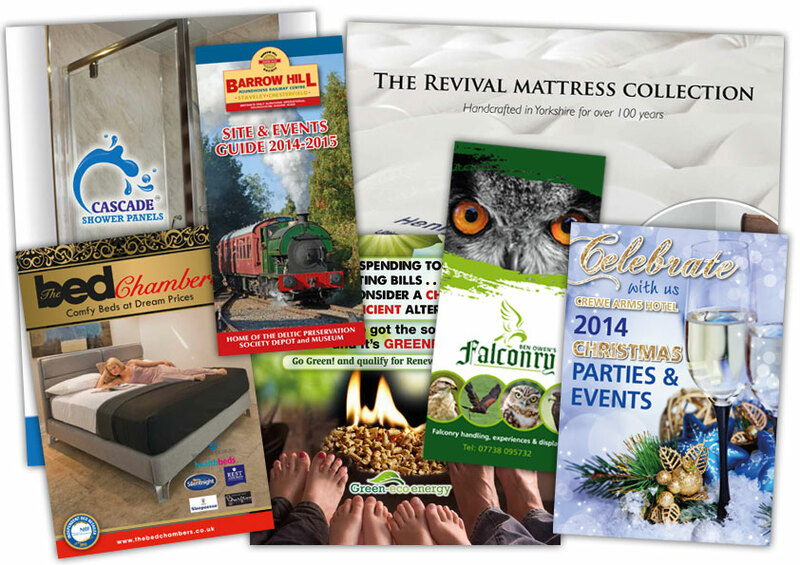 Brochures can take any form, landcape A4 prestigious brochure or a 6 page folded DL brochure or even an A4 catalogue. The choice is yours, if you are not sure what you want, we will advise and help you choose the best format for your type of business. 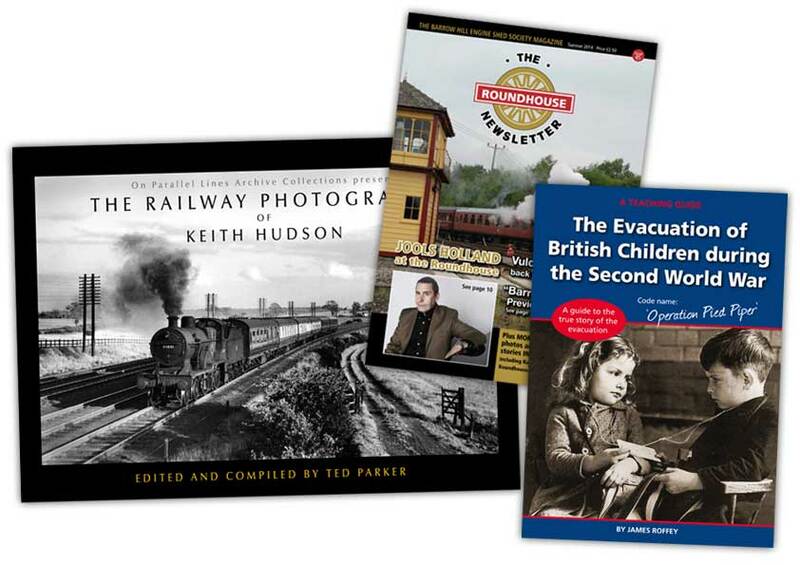 We are experts in creating books whether this is a book you are selling or a personal memoir for family and friends. Talk to us before starting your project and we can help you with the design and layout as well as talk to you about how to set a book out correctly for your audience as well as for print. Books can be stitched or perfect bound depending on thickness. 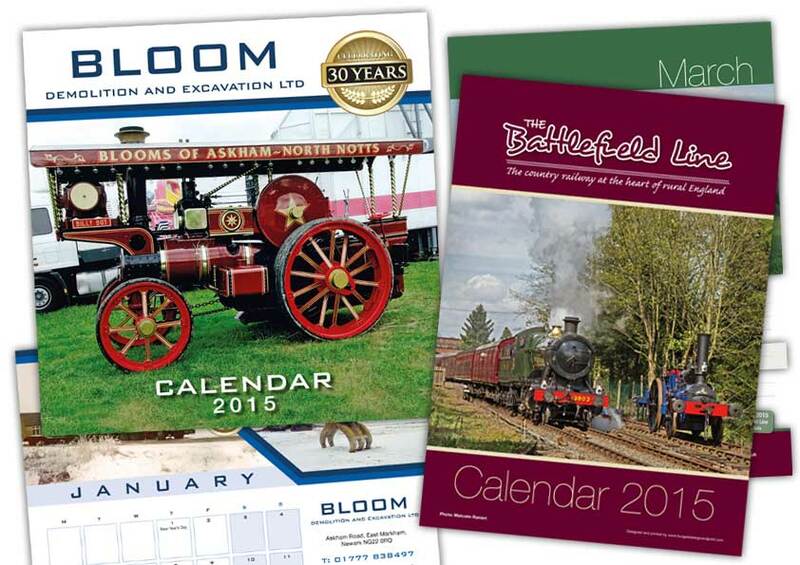 Bespoke Calendars and wall Planners designed for you - we do not use templates. We can print any size wall planner you require using your company logo and branding. We can also create calendars in any shape or size and personalise these just for you. 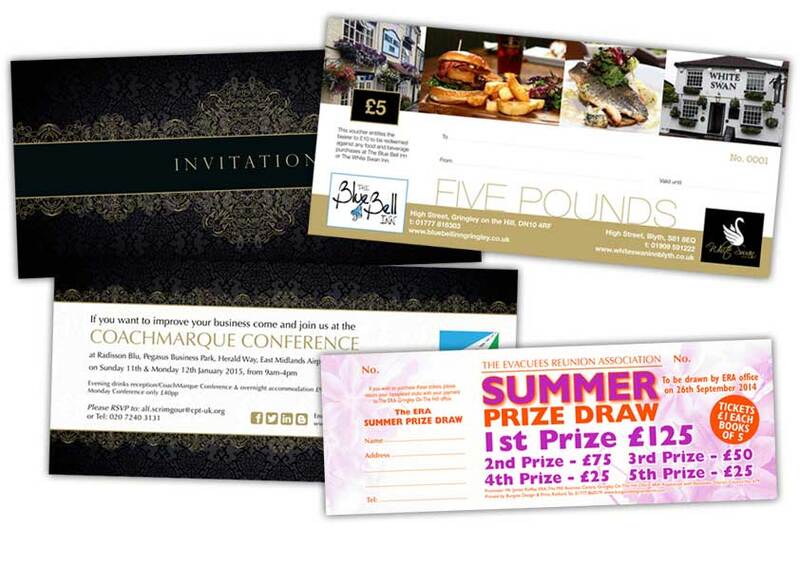 We can offer sequential numbering to your tickets, gift vouchers etc. to help combat against fraud, and it doesnt stop there, we can also personalise your certificates, invitations etc. with individual names and addresses for that extra personal touch or for target marketing specific companies in your next mailshot. 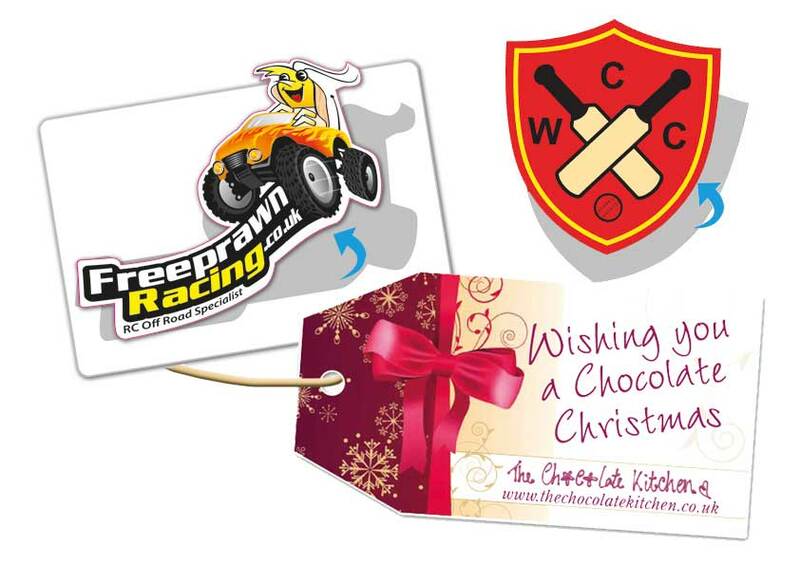 Die cut labels, all types of intricate shapes, supplied on sheets or as individual labels, for internal or 'weather proof' external use. Also gift tags, any size and shape with a hole for your string or ribbon. 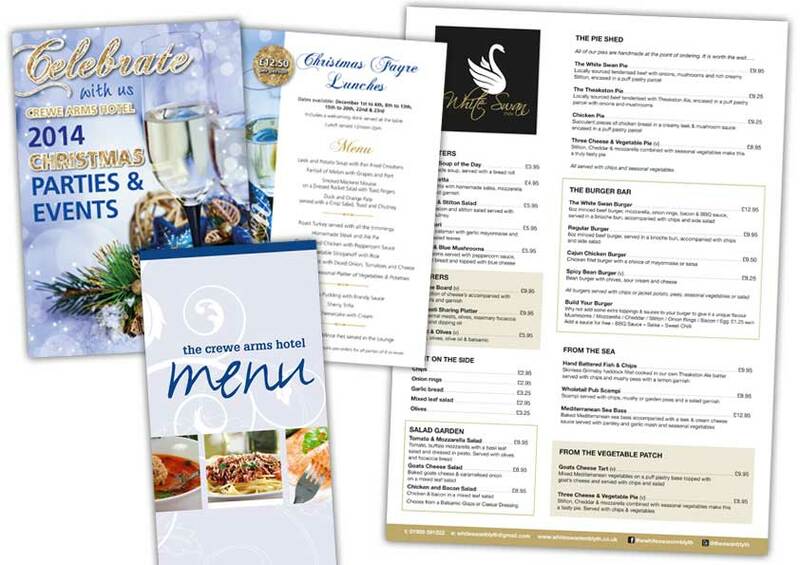 Menus can be any format, shape or size, with laminated covers if required. talk to us about your requirements and we will advise on the best format to suit your needs and budget. 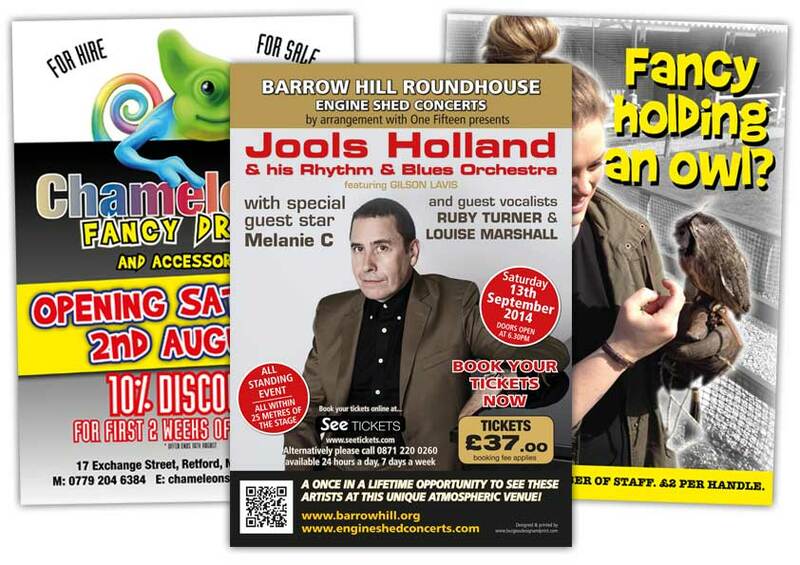 We can print posters to fit in any frame or window, in any thickness, size and shape.